Van Til’s Apologetic: Reading & Analysis by Greg Bahnsen, P&R Publishing, 1998. 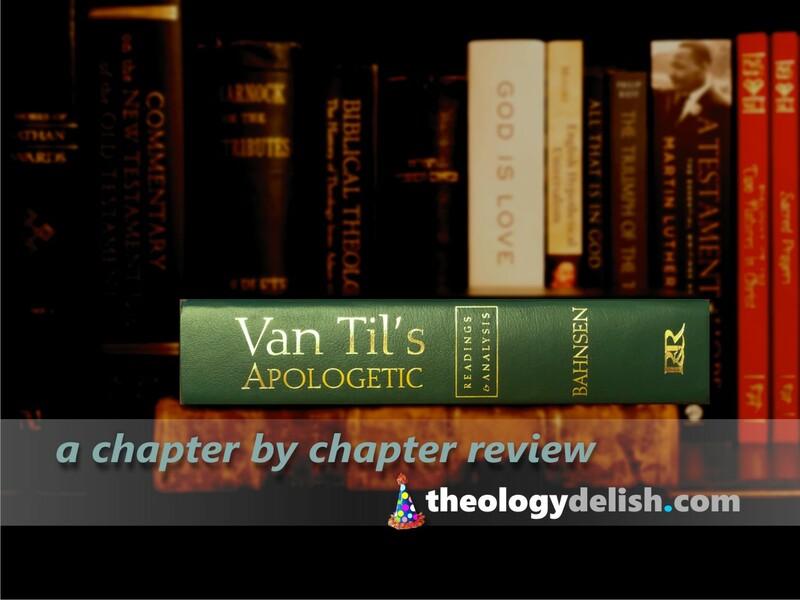 In Van Til’s Apologetic its author brings together from Cornelius Van Til’s many writings a systematic portrait of Van Til’s method. In this book Bahnsen also organizes Van Til’s answers to many apologetic questions in Christianity. The last post began a series of reviews on VTA by looking at the Preface. In this post we will look only at chapter 1, section 1.1. This first section is an important statement which puts before us the basic foundation of Van Til’s method. Thus, there is much to ponder in section 1.1. Chapter 1 is a shorter chapter compared to others in this book, but like the Preface we find Bahnsen giving us Van Til’s core principles in their basic form. In the next posts we will continue with sections 1.2 througth 1.4. The work of Immanuel Kant has an important place Van Til’s thinking. In this book Van Til by way of Bahnsen refers more to Kant than to Calvin or so it seems from the number of references in the Index. Kant’s influence on Van Til also appears in his book The Defense of the Faith. It will take a longer examination of Van Til’s corpus to confirm if all references to Kant are in opposition. Probably not. A quick glance through Van Til’s Apologetic gives indication that his engagement with Kant is mixed, some references in opposition and others agreeable. Before we look at the link between Van Til’s thought and Kant’s we want to see what is a core principle for Van Til and Bahnsen in their apologetic method. In fact, what Bahnsen says on this principle should be a first principle for all Christian apologists regardless of preferred method. Bahnsen quotes 1 Peter 3.15 to anchor Vat Til’s method and purpose in exalting Christ. “Christ must be ultimate authority over our philosophy, our reasoning, and our argumentation – not just at the end, but at the beginning, of the apologetic endeavor…an ultimate commitment to Christ covers the entire image of human activity, including every aspect of intellectual endeavors” (p2). Well said. It is common for Christian apologists to leave Christ as an after thought, Presuppostionalists included. So many apologists are more interested in making a compelling argument. Too often gaining the debate edge takes precedence over working out pastoral motives which reflect Christ’s concern for the person or persons. As we continue reading and examining Van Til’s Apologetic we hope to keep “Christ in all things” as the Golden Mean for analyzing this (or any) apologetic method. Bahnsen weaves in with the first principle of Christ another principle that figures prominently in Presuppositional Apologetics – autonomy or “autonomous reason” as some call it. Man’s autonomous stance before God is as the word indicates: “law unto oneself.” Bahnsen briefly explains that for Van Til his method was establish his own stance against man who see himself as “the ultimate court of intellectual appeal” and guards his beliefs as “self-governing, self-determining, and self-directing” (p1). This is helpful, but it has limitations. The concept of “autonomy,” no doubt will later be supported by similar concepts in Romans 1…as it should. However, Bahnsen uses a quote from Calvin to color this kind of “autonomy” as one of “profane audacity” (p1). While true from a bare theological perspective, the tone seems to be one that gives the enthusiasts who follow the Presuppositional method permission to take a battle posture. Again, at this early stage we are curious how this attitude will be addressed. What is missing? Several things are missing in the “assumption.” For example, what about desire? What about worship? Desire ( or worship) in a realist account of life is objective, not just subjective. Worship is so invasive because it is objective. We do not worship an “as if” concept of God. And what about the subjects themselves? 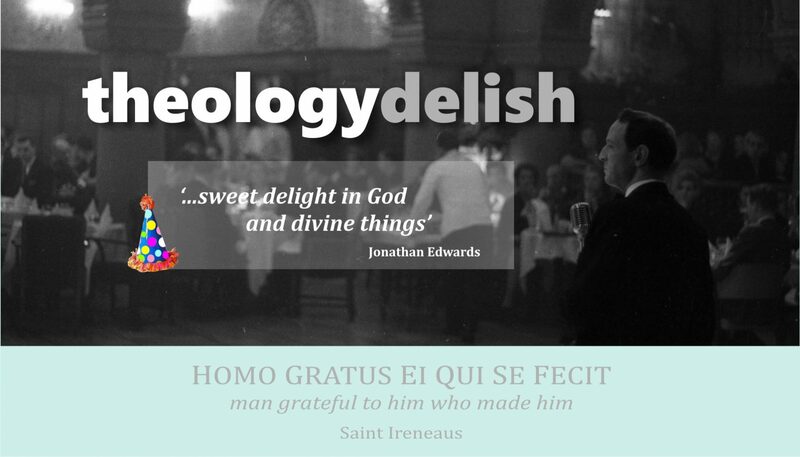 In the Reformed tradition (…which was well established before Presuppositionalism arrived…) man’s love or loves were addressed as a real and objective interaction. This was (and still is) a more Augustinian approach and more fitting with what drives us to oppose God and his ways. Or for that matter, “the restless heart” – as Augustine called it – is also what draws us toward God. Even when we taken into account the necessities of the mind, the “intellectual” faculty, we see in light of The Shema that intellectual assumption has no part, but instead to love Yahweh with all our heart, soul and mind (Deut 6:4-5). So far Presuppositionalism shows that these concerns are secondary or swallowed up in giving “assumption” the first concern. Yet, man’s mind is not a faculty in him that functions apart from the heart. The objective and subjective are bound together. Consider the answer to the first question of the Westminster Shorter Catechism. The inner longings and desires are very much in view when we are objectively compelled, even invited “to glorify God and enjoy him forever.” That is not purely an intellectual pursuit. Idealist “assumptions” seem rather secondary to the real passions of the soul. If such “assumptions” are warranted, then they are likely in service of deeper desire. There is more we could speak to in addition to desire and worship in critiquing VTA method, but at least we can see at this point that Bahnsen and Van Til have not made worship as prominent as it should be. We should know that “assumption” – the “as if” – works against creedally grounded worship as Classical Christian Theism has followed it. So then, does Presuppositionalism allow “assumption” to take leading edge in its method over objective worship drivers within man? We shall see if so (or not) as we read on in VTA. The definition the Mirriam-Webster gives for the word “assume” is “to think that something is true or probably true without knowing that it is true.” Kant, in an effort to rescue religion from cold rationalism, separated religious belief from empirical belief. In so doing he located faith under what he called Fürwahrhalten, ‘holding-to-be-true.’ Kant’s Fürwahrhalten has 3 modes or aspects of this just as is kind of assent. We won’t go into detail on those at this point, but should say that in the Fürwahrhalten is where Kant saw a place for assumption. For him there is no need to prove that assumed belief to be true empirically. For example, the “moral argument” for God is used this way sometimes in Presuppositionalism. Yet, not all “moral arguments” can be grounded directly in God…unless one assumes that God is the fountainhead of all morals. If you scrutinize this further, you may discover that this sort of moral argument can be a double-edge sword. Another way of pondering “assumption” in Presuppositionalism is to see how for Kant and Van Til that deontology is the driving force within us more so than ontology. In the face of “assumption” the lone voice of duty speaks quite boldly since the empirical voice (ie., reason) has little or nothing to say – at least on the matters of faith. Presuppositionalism, although not brought over in a point for point or exactly copied fashion from Kant, does in some manner or another regard Fürwahrhalten, ‘holding-to-be-true’ or “assumption” as a basis for certainty and action within the Christian “network of beliefs.” In other words, theirs is a faith position which operates distinct from proofs (or as B. B. Warfield and others have called it “right reason”). In this method, you simply hold on to the “assumption” that God exists as opposed to reasons for his existence and thus stated (or decreed) right action is what you must do (ie., deontology carried on the wings of the as if). In theory, perhaps, it may seem ok, but when put into practice problems arise. In this kind of faith position right action is in significant ways competing with right reason. This may sound good on the surface, but because of “assumption” it can lead down mulish paths. One can see how this way of framing morals in the Christian context finds attraction with Theonomy or even Divine Command Theory. Whether it be Kant or Van Til we should consider the dangers to faith when we ground it on “assumption.” In fact, what really is faith if it is mainly “assumption”? My father died when I was 18 yoa. In the short time I had with him he impressed on my heart and mind many bits of wisdom that I treasure to this day. He liked to find the pith in things and so he would repeat sayings he had heard or mottoes he had crafted from his own reflections. Two that fit here quite well are these. The most common reason for a breakdown in communication is assumption. There is also a similarity between Kant’s concept of the “transcendental arguments” and Van Ti’s “transcendental argument” which we will consider in a post on sections 1.2 and 1.3 (p4-6).